For the duration of her time in theses rotations, she was fortunate to care for a variety of patients and families. She believes in continuity of care for all her patients and is looking forward to extending this level of quality of care in her new practice. Dr. Laure Ndeutchoua started 1 Stop Primary and Urgent Care so she can provide access to the most vulnerable and non-insured patients. 1 Stop Primary and Urgent Care is a place where people are treated with dignity and respect. We now have the opportunity to care for patients and their families, not only for urgent matters, but also in follow-up to make sure they are stable. 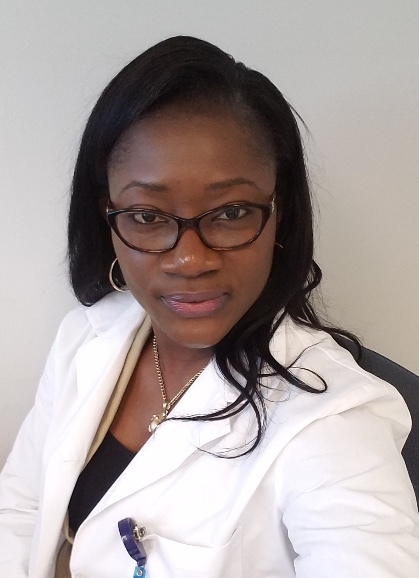 Dr. Ndeutchoua is looking forward to using evidence-based practice guidelines to care for her patients from childhood to adulthood and loves the diversity involved in her field. She obtained a Bachelor in International Business in 2003 at the University of Gelsenkirchen, Germany; obtained her Associate degree in Nursing Science in 2009, and obtained her Bachelor in Science of Nursing at Coppin State University in 2011. In 2013, she obtained her Master in Science of Nursing, and specialized in Family practice. Dr. Ndeutchoua is a Family Nurse Practitioner certified through the American Academy of Nurse Practitioners. Due to her eagerness to decrease healthcare disparities, her capstone research project titled: Facilitating Person-Centered Care for People with Intellectual and Development Disabilities addressed the gap existing in staff training processes for organizations caring for people with disabilities. Interests: Family Medicine, Mental Health, Community Health Services, Pediatrics, Patient-Centered Care and Holistic Care. Member of the American Academy of Nurse Practitioner organization.